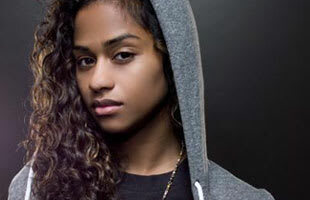 Vashtie Kola (born April 23, 1981 in Albany, New York), often shown as Va$htie, is an artist, director, designer, party promoter and entrepreneur. She's highly respected in the music industry for her music video work with Lupe Fiasco, Kanye West, Theophilus London, Kendrick Lamar, Big K.R.I.T. and more. Va$htie is also the first female to get her own signature sneaker from Jordan brand. Premiere: Stream Vashtie's Valentine's Day Mix "To You From Me"